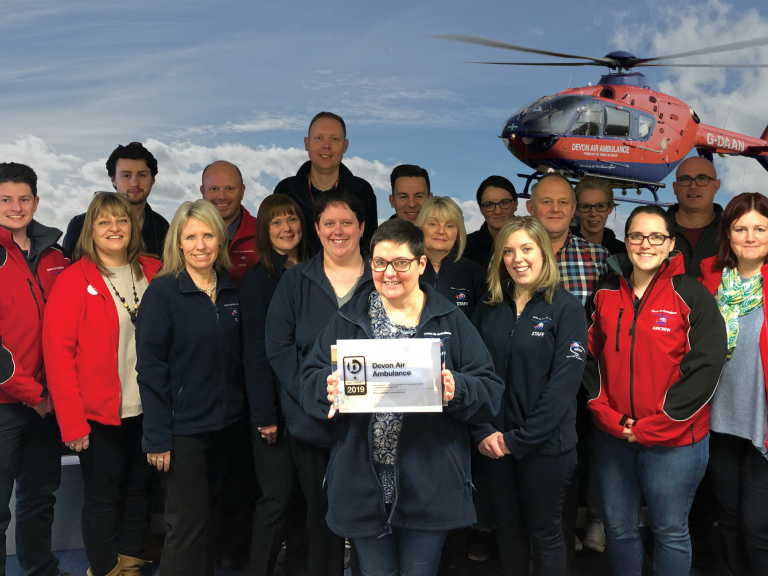 It’s been quite a month already for Devon’s Air Ambulances operationally, but this week sees the Trust celebrating a One Star accreditation, recognising very good levels of employee engagement and coming in at number 51 in the 100 Best Not for Profit Companies to work for. Founder and CEO of the Top 100 Best Companies, Jonathan Austin said “I would like to congratulate Devon Air Ambulance on their achievement of a One Star Accreditation status and being named as one of the UK’s Best Companies to Work for. Best Companies have been producing the Accreditation standard since 2006 to acknowledge excellence in the workplace. We are proud that charities like Devon Air Ambulance focus on their employees and have been rewarded with an engaged workforce who tell us that they’re a best company to work for. The Devon Air Ambulance team are now looking at ways that they can celebrate their accolade by taking part in National Best Companies Day on Friday 1st March 2019. Why not check out this Charities business in Exeter. Devon Air Ambulance Trust is a 'thebestof' business member.